Do you need to have some large prop or car or boat or anything that has to rock right and left and back and forth? 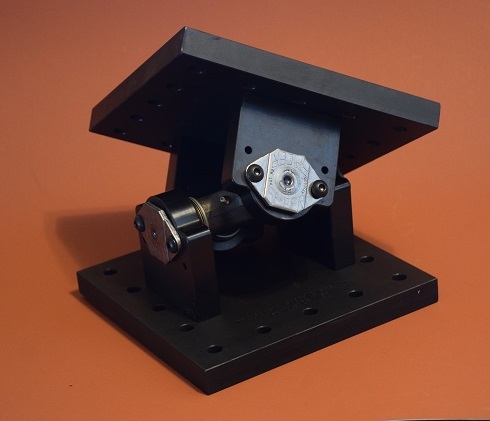 We originally designed this gimbal trunnion to be the pivot for supporting and leveling a $250,000 Technocrane that was mounted on a camera car. We built it to be extremely heavy duty, but compact and user friendly. When you build a gimbal to mount something on for Green Screen orVFX shoot,one of the difficult parts is the knuckle or trunnion pivot point; the rest is just steel fabrication, hydraulics and mounts for the prop or car. This gimbal trunnion is that difficult part, now a bolt on. Not only that, it is easily removed from your throwaway single use gimbal and can be used on your next job. Tilts 30 degrees each way from level (60 degrees travel R to L and F to R). Top and bottom plates are 10" x 10" x 1" Cold Rolled Steel. Height is 8". 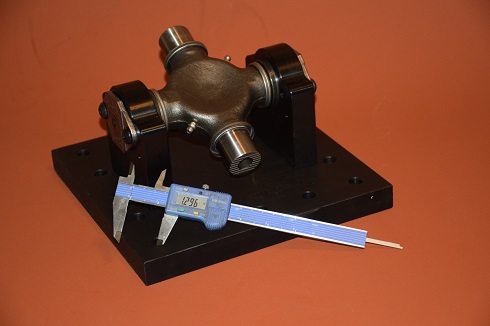 The center trunnion cross is a giant Universal Joint, with 4 needle bearing caps that ride on 1.296" trunnions. The Needle bearing caps are supported with 1" thick cold rolled steel mounts, each of which is secured to the base or top with 4 each 1/2"-13 Socket head cap screws. 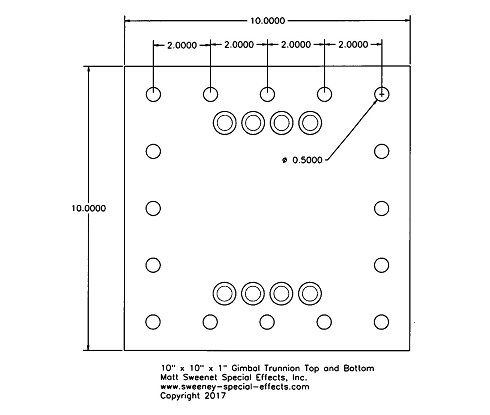 Here is the hole layout for the top and bottom plates.